Sometimes you need more information than can be provided through two days of a dedicated researcher. You can find out if there is any value to a more in depth look at the market through booking a consultation with us. We can then help you come to the right solution for your business. 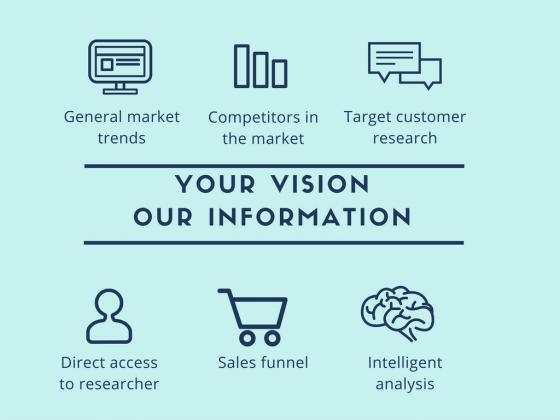 You should look at other options as a well and we will take you through the benefits of using syndicated research, the UKTI market research export provision or a specialist researcher in that industry.